Traditional event for fish food lowers is arranged again in Kuopio. 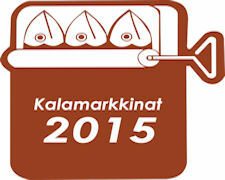 ”Kalaryssäys” fish market takes place on harbour square 11.-13.9.2015. This years theme is “Get excited of Fish”. Tastes of smoked salmon, fried vendace and much more are waiting for you. Last years event tempted over 30 000 visitors to the waterfront of Lake Kallavesi.